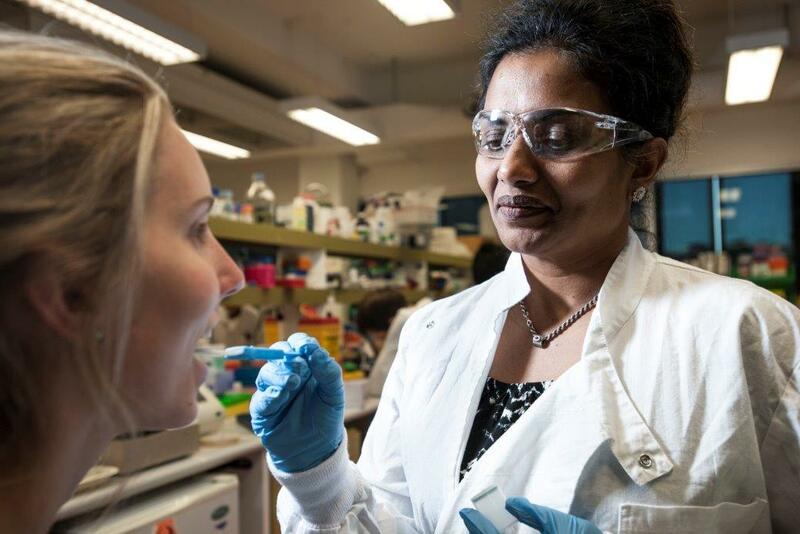 Associate Professor Chamindie Punyadeera, whose research has been supported by the Garnett Passe and Rodney Williams memorial Foundation, has announced a breakthrough in diagnostic technologies. Her important results were highlighted on Australian television in July. Associate Professor Punyadeera is a globally acknowledged pioneer in salivary diagnostics. She leads the Saliva Translational Research (STaR) laboratory at the Queensland University of Technology (QUT) with a team of 12 researchers focused on developing novel diagnostic and prognostic biomarkers for cardiovascular diseases and head and neck cancers, linking oral health to systemic diseases. Saliva collection is non-invasive, easy sampling and does not require a phlebotomist. Associate Professor Punyadeera convened the inaugural Saliva Technology Application Research Symposium (STARS) in Brisbane in July 2016. This symposium attracted 130 participants, including 5 international key speakers working in this space.